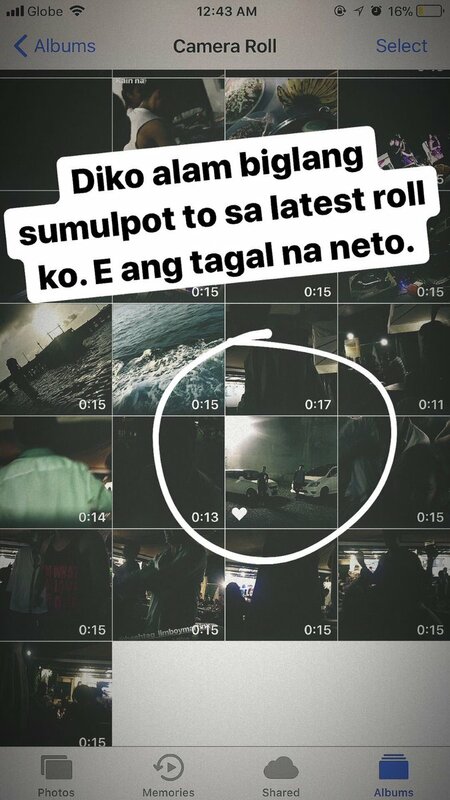 Home / Entertainment / News / Showbiz / Viral / Franco Hernandez, Nagparamdam nga ba kay Hashtag Jimboy Matapos nitong Magpakita sa Latest Roll sa Phone niya? 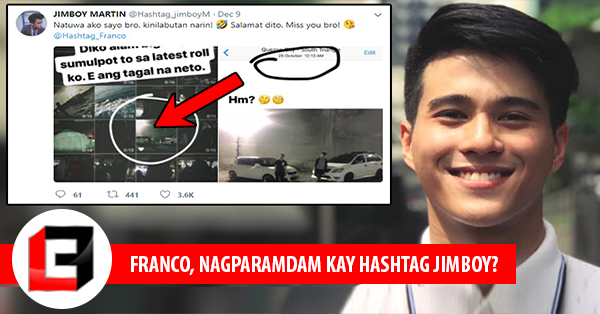 Franco Hernandez, Nagparamdam nga ba kay Hashtag Jimboy Matapos nitong Magpakita sa Latest Roll sa Phone niya? 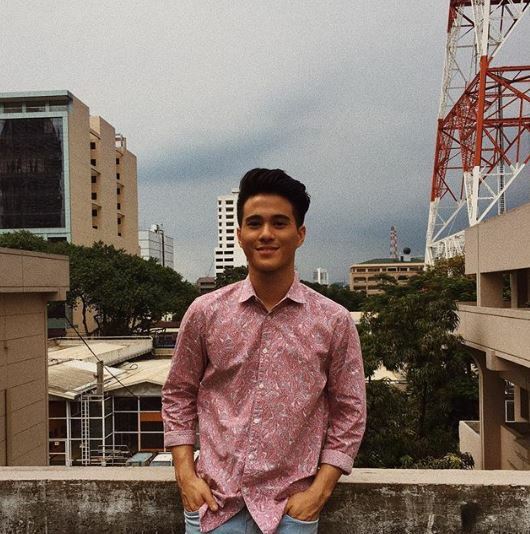 It has been almost a month since the passing of Hashtags member Franco Hernandez. We have witnessed his beautiful yet short life and saw how great he was to the people around him. Dozens of tributes have been offered in the young man’s honor but it simply isn’t the same as having him around. Janica Nam Floresca, Franco’s girlfriend, and other close friends and family would attest to this truth. But despite the sad reality that he is now gone, there are those who try to console themselves with the idea that the young man might not be completely gone after all. News reports and articles have been done regarding the claims of Franco Hernandez making his presence felt on various occasions. 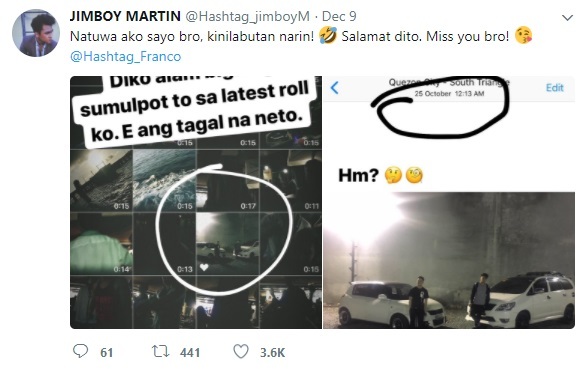 Hashtag Jimboy Martin adds to the collection when he tweeted about his claim that Franco was trying to get through to him via his phone’s camera roll. He was perplexed at how the photo of the two of them together appeared in the latest roll when it was taken back in October 25. Of course, there is no basis to prove that Jimboy’s statement is true. 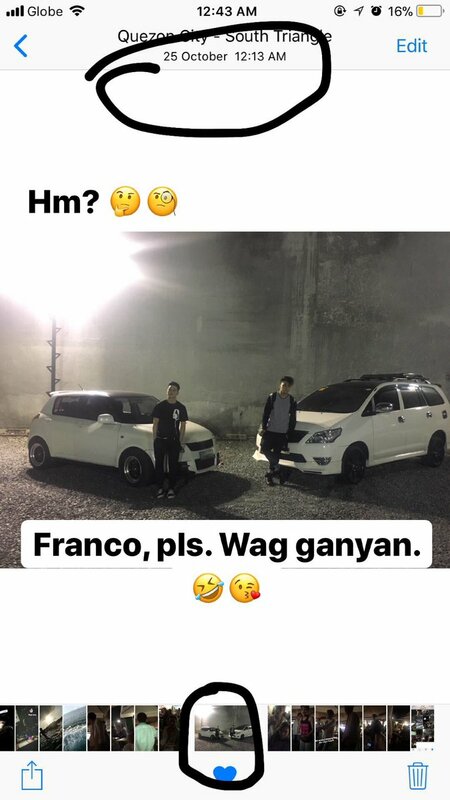 This could be seen as Franco’s loved ones’ way of coping with the loss, who probably is still not used to not having him around. It is never easy to go through a devastating death but we would like to think that Franco is in a better place now. 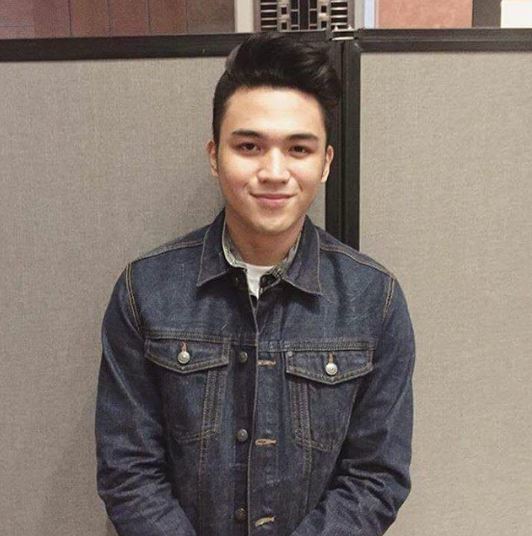 What can you say about Jimboy’s belief that it was Franco trying to talk to him? Could you provide an explanation as to how the picture appeared in the man’s latest roll? Share your thoughts, reactions, and opinions in the comments section below!